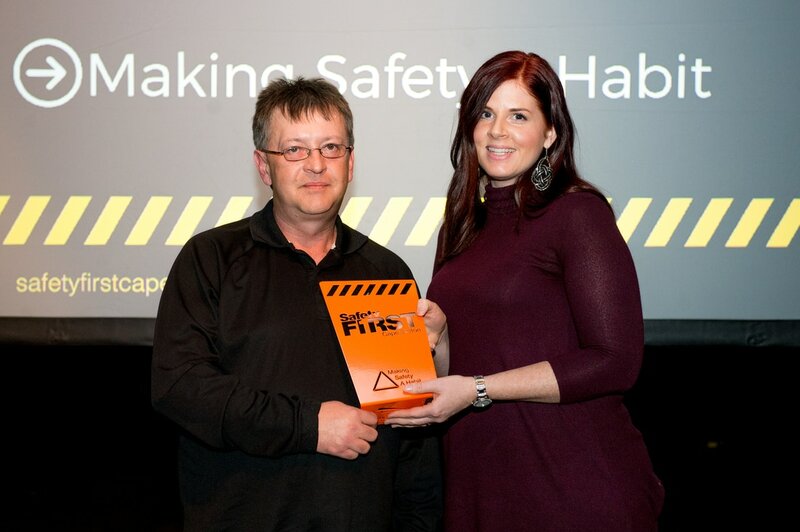 2017 Safety First in Cape Breton Award Winners. 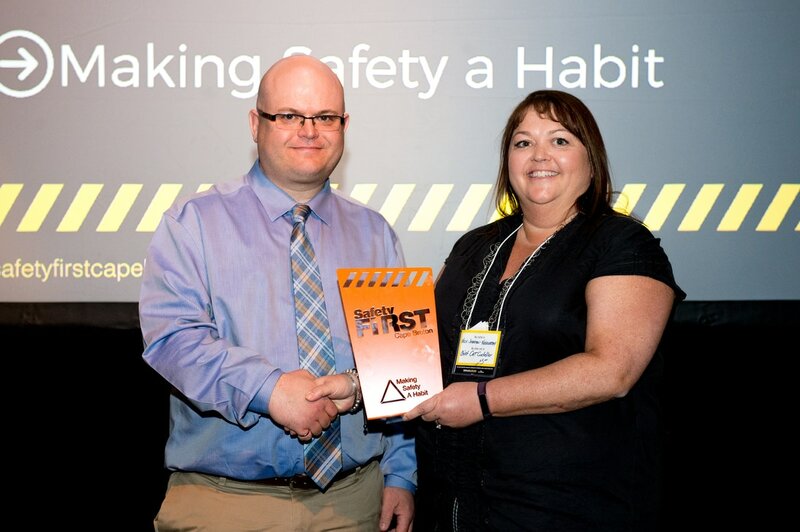 The Safety First in Cape Breton Network brings together a variety of like-minded individuals who are all working towards making Cape Breton the safest place to do business in Nova Scotia. Employers and their employees across a diverse range of organizations are committed to making a recognized effort to ensuring safe work practices are used to avoid accidents and prevent injuries on the job. 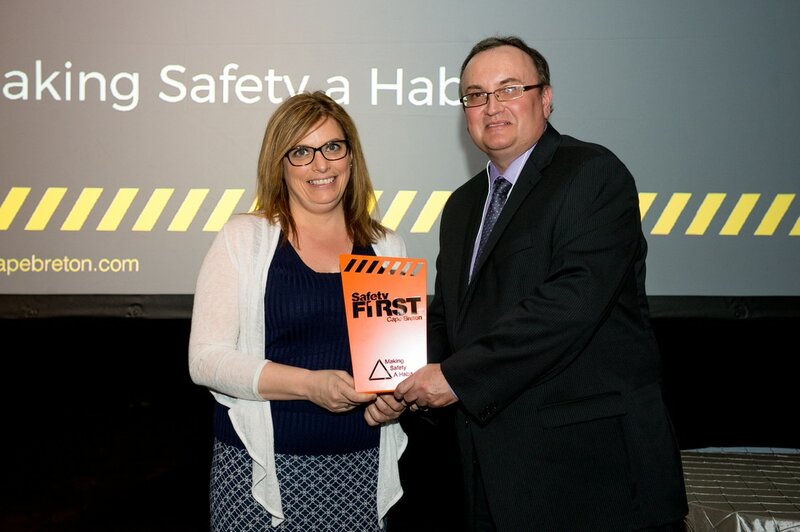 This year the Safety First in Cape Breton Network wants to honour those individuals and businesses who are committed to the advancement of workplace health and safety, by promoting the total wellbeing, including physical, psychosocial, and mental health of the working people in our region. There are five categories of awards; each possesses qualities that recognize a range of occupational health and safety elements including employee training, leadership, innovative training initiatives, and individual engagement. The full list of categories and the nomination requirements for each award are listed below. ​Nominees are individuals between the ages of 18 and 35, who play a vital role in carrying out their employer’s safety mandate. They have shown a high level of maturity and sound level of judgement that is required to complete their job in an efficient and safe manner. This individual is not afraid to ask questions, is dedicated to helping others in their workplace follow safe work practices, and contributes towards the creation of a positive occupational health and safety culture. Nominees in this category are training providers or OH&S managers who have done a superior job educating clients or employees about the importance of creating a positive workplace health and safety culture. Nominees have created a culture where people feel valued, respected, and satisfied in their jobs while working in a safe and healthy environment. Two-way communication and hands-on training are key components of the nominees’ safety training method. 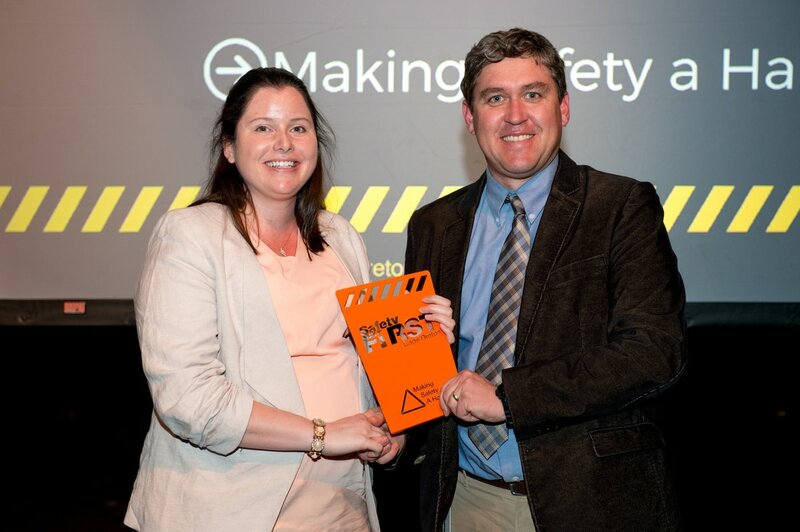 Nominees have a keen understanding that trust, honesty, and respect are essential to building a reputable safety culture where people feel engaged and inspired to learn vital health and safety procedures. Nominees in this category are employers in the region who have had an outstanding safety record. Nominees are longstanding safety champions who have built their company’s success without compromising occupational health and safety practices. Nominees can be from any industry sector, but must have been in business for at least 15 years. Nominees keep prevention and return to work at the heart of their business. Nominees are caring and compassionate employers who provide their employees with support in all facets related to health and safety. Nominees in this category are individuals or businesses who have used innovative methods to educate and train their employees about safe work practices. Whether it is with new technology, implementing a unique tracking system, engagement incentives, or personalized training exercises, the Innovation Expert is constantly adapting their techniques to make safety more practical and accessible. Nominees also understand the importance of due diligence and have embraced innovation to solve and implement a plan or program to identify possible workplace hazards and carry out the appropriate action to prevent accidents or injuries. According to the Nova Scotia Workplace Safety Toolkit, small businesses are those who have fewer than 20 employees. Nominees in this category are small business owners who have made workplace health and safety a clear priority for all of their employees. Nominees have set the standard for proper safe work practices for each employee and their job’s responsibilities. Nominees have also made a strong connection between health and the wellbeing of their employees and their work environments. The workplace health and safety culture created by the nominees sets the standard of care for all employees and is one of the reasons why they stand out against their competition.